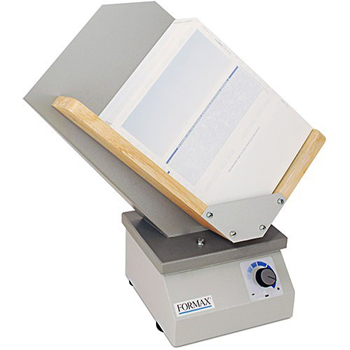 The Formax FD 402P1 Single-Bin Paper Jogger provides quick and easy alignment for a wide variety of paper sizes up to 11 inches x 17 inches. Jogging forms helps to separate them and reduce static electricity for accurate feeding through pressure sealers, folders, inserters and other paper handling equipment. It has vibration speeds of up to 4,000 vibrations per minute. Moving further, FD 402P1 Single-Bin Paper Jogger’s electromagnetic design allows for continuous operation, while the slotted clean-outs allow paper dust, staples, paper clips and other debris to exit the jogging bin. The FD402P1 also features a tilted rack and a center divider to properly jog small paper stacks. 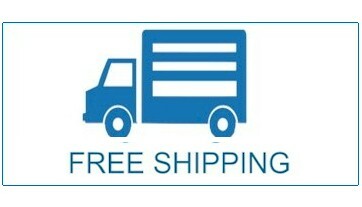 Formax Single-bin Paper Jogger has a large tray that can hold up to 800 sheets. Use the Formax FD 402P1 Single-Bin Paper Jogger to enhance productivity.